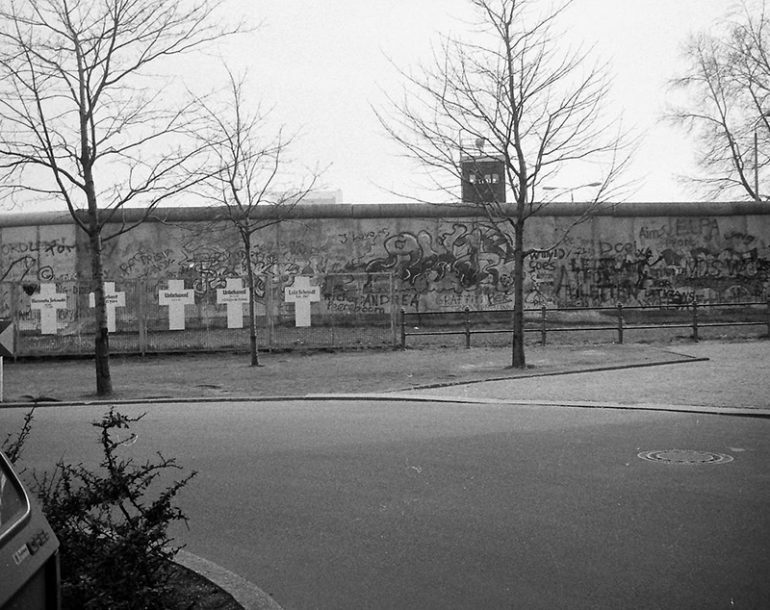 The Berlin Wall is one of the most symbolical figures in the history of the world. Its construction divided one of the most influential countries during the Second World War, and its fall opened the gates to the beginning of a nation-wide reunification. 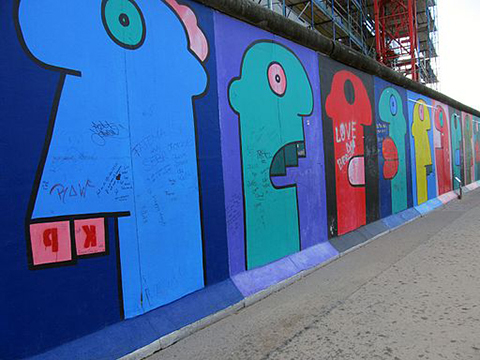 Its erection induced various types of revolutions for political change, and Thierry Noir, who was dubbed to be one of the first street artists to paint on the Berlin Wall, started an artistic revolution on his own. Noir lived in a youth center that was very close to the Wall. In fact, his room overlooked the boarder itself. Noir received a lot of attention from the residents in the area when he started painting the wall. They were mostly negative ones: they thought he was a spy sent from France. However, Noir’s objective wasn’t even anything close to espionage. “It was a political act to paint the wall – even if you made pee-pee on the wall it was political (laughs). It was forbidden to paint the wall, so in a way it was a revolutionary act,” Noir told Street Art London. Because getting caught painting on the wall would get him in trouble, Noir adopted an art style where could paint as fast as possible. That is why Noir’s art style was simple and comical, using a maximum of three paint colors per figure. He uses bright and vivid colors, so his art works were very distinct on the wall. On November 1989, the people of Germany started demolishing the Berlin Wall. They used their own tools to chip off sections of the wall while some created cross-border passages that figuratively destroyed the concrete wall. About a year later, on October 1990, the wall was officially destroyed, and Germany was officially united. Some of Noir’s artworks can still be seen in the remaining parts of the Berlin Wall. Now, with the Wall long gone, Noir spends his time in the East Side Gallery. His art works, although some are long gone, remains a legacy of his artistic revolution.